1. 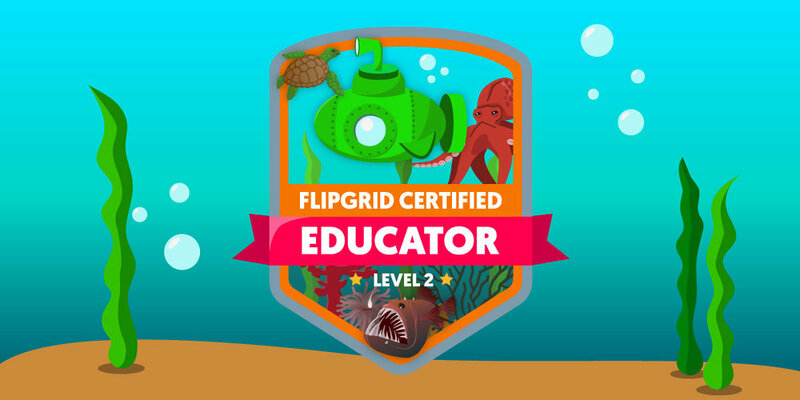 Earn your Level 1 Flipgrid Certified Educator badge (above). 3. Create a short video tutorial (2-5 minutes) demonstrating how you use Flipgrid to amplify student voice. Using a screen recorder* (check out Loom, Screencastify, or Screencast-o-matic), create a video providing a brief Flipgrid overview. Share valuable resources for the Flipgrid Educator Community, such as the Discovery Library, Help Center, and the #FlipgridFever community on Twitter. Lastly, share how youâ€™ve used Flipgrid, talk through the impact, and reference how you used your Discovery Library Topic! When youâ€™re ready, upload your tutorial to our Webinar Grid (below). Be sure to add a descriptive Title (e.g. #1stgrade, #science, or #pd) and attach your Discovery Library Topic link! You should receive an email after submitting your video but youâ€™ll notice the video wonâ€™t post right away. Weâ€™re moderating the Grid and will review that youâ€™ve completed all three steps and then either launch your webinar or email feedback. We will also Feature a few webinars. If yours is Featured, youâ€™ll win a free one-year Flipgrid Classroom subscription for you or a friend!